BB6 tracks a bit NW and is over West Rajasthan. UAC off South Gujarat coast moves west, and is off the SE Sindh coast. Rain likely in Karachi tonite again as a result. BB6 now over West MP, can show a possibility of moving in a NW track.Axis considerably South along North Gujarat/thru low and westwards into the bay. A similar axis runs aloft at 850 hpa (Thai Met). Observe the UAC over Thailand. It has moved west last 24 hrs. Rainfall will be heavy in North Gujarat and South Rajasthan. Decreasing rains in North Maharashtra, Vidharbha and Marathwada. North Konkan will get moderate rainfall, and light rains in South Konkan. UAC over the Arabian Sea off the Sindh coast weakens after Friday. Moderate rains along adjoining Sindh coast and Upper Sindh regions also on Friday. Karachi gets some showers on Friday. Rainfall in Nagpur decreases considerably. BB6 weakens and moves NW. More rains in Rajasthan and adjoining Sindh. Heavy rains in North Rajasthan, Haryana.Coastal AP and Orissa can get heavy rains. Vizag may get afternoon showers. Decrease for Maharashtra rains. The east coast off shore trough gats aligned, which could bring showers to Eastern TN and AP on Saturday. Pakistan Punjab also can get heavy rains on Saturday. Multan and region around can get heavy rains. Rains weak in Southern Sindh. An UAC or a low may form in the Bay. East coast trough may strengthen. Heavy rains in Punjab and Haryana. Moderate in North Rajasthan. Good rains along Coastal AP and TN... Konkan rains weaken. adjoining Pakistan also gets heavy rain on Sunday. Nepal: With no clear system over Nepal, next 3 days will see localised Thunderstorms in the country. However, there can be some increase in rains in the western regions on Saturday. Neeraj informs us that Nepal is still deficient in rains. Kathmandu: Friday/Saturday/Sunday: Days will be cloudy at 29c. Evening thundershowers possible, with rain amounts being 10 mms.Total rain in September till date 44 mms. Friday 7th: Partly cloudy with 3/4 showers. Showers in some regions may be heavy and abrupt. Day may get warmer. Rain Amount: 15-20 mms. Saturday 8th: Partly sunny with a few passing showers, varying indifferent parts. Rain Amount: 10-15 mms. Sunday 9th: Partly sunny and hot day, with thunder clouds developing by evening. Few showers in some parts. Rain Amount: Upto 10 mms. Friday/Saturday/Sunday: Warm days. Sunny with some clouds developing by evening. Light evening rain in some parts. Friday: Warm day with not much precipitation. Saturday: Day starts getting cloudy gradually by evening. Distant lightning possible with showers in some parts. Sunday: cloudy with heavy showers in many parts. Rainfall increasing on Sunday. Around 25 mms (avg). Friday: Partly cloudy. Humid and stuffy at night. Saturday: Could see some eveing showers in some parts. Sunday: Cloudy with increasing rains. Showers by evening in almost all areas. Rains may amount to 30 mms. Hyderabad (India): No meaningfull rains in city next 3 days. Karachi sees rainfall decreasing after Friday, with no meningfull rains weekend. Hyderabad (Pakistan): Cooler days on Saturday /Sunday. Increase in rainfall on Sunday. Sunday will see rainfall upto around 20 mms. Sukkur: rains possible on Sunday. Light on/off rains here in Thane. Total for today was 20 mm in the last 24 hrs. Total for the season stands at 1735 mm. Night time ,minimum temperature has started to drop to almost 24 ° c in the city and here at Godhbundar must be 22°c. Kathmandu, Nepal is as of today, 7 September,has not had enough rains for this monsoon season. In figures: rain till now for June July Aug Sept = 921.6 mm. September Average = 186.9 mms. But to get to monsoon (JJAS)average of 1125 mms, we need to have 250 mms of rain for Sept, which would be 33% more than sept average. Is that possible Rajesh ji ? I am observing that even if the UAC over the Arabian Sea off the Sindh coast is weakening by Friday but from Saturday onwards the remnant of it may travel towards east and may even reach Mumbai by Monday.. Yesterday Badlapur had sunny spells in intervals sometimes drizzles & sometimes brief medium to heavy spells. So overall Badlapur records 25mms rain in past 24hrs. (i.e from yesterday 8.30am to today 8.30am on 07-09-2012). Weather today here in Ghaziabad is bit cloudy and windy.Thunderstorms can be possible towards late afternoon/evening. @ Rajesh Sir. Thank you very much for Matheran rain data. And from today morning it's very windy here in Badlapur from SSE and at times from SE direction also. So now UAC completely active over NW Arabian Sea that is South of Karachi ! From morning bangalore looks cloudy.But no rain yet. Seems like there were rain in some parts of TN and Karnataka. Pakistan so far has received 42.5 percent less rains than it receives since beginning of July during the monsoon every year. Bangalore day 7 sept no rain. IMD maintains heavy to very rains over Konkan,Gujarat. Gujarat sept received maximum excellent rains. Vidarbha - all districts above 1000mm - excellent rains. Still south - interior KAR,TN, Kerala (below normal). Long--long wait. Rajan Sir, HAL airport side no rain, this short drizzle is of no use for extreme drought city is facing. Atleast you can understand - 5-10 years back sept used to be rainest season- but now yourself can see the difference. As long UACs along Bay keep crossing orissa,MP,Maha,Guj/Raj - South cannot expect any rains - nor can withdrawl of SWM happen. Remember by this time 2011 - monsoon was becoming weak. First at the outset let me say that it feels great to chat with someone from Pakistan. The monsoon has played truant in Saurashtra & Kutch and the same seems to be affecting Sindh also. I do not know if you get any NEM rains but I hope and pray that area that have received less rainfall in both our countries have a good september rainfall. Hope to chat with you more often!! This week has been great for covering the deficit during this monsoon. Yesterday (ending 8.30am 07-09-2012) was the fifth above normal rainfall day this week i.e all the days Mon to Fri were above normal days. CI again took the lead yesterday with 81% above normal rains. Gujarat and Saushtra & Kutch got 253% and 262% above normal rainfall. 8 of the 10 subdivisions in CI received excess rainfall. CI is now just 3% below normal. E&NEI and NWI are lagging behind with 15% and 13% deficits. We also have two subdivisions now in the excess category for the season -- W.MP and Lakshwadeep. GSB: Glad you are interacting with Tyrone.He has patronised vagaries for more than 5 years now, but was "dull" last 2 months due to no rains in Sindh. Disappointed i guess. Both of you are giving very good information to readers, Thanks. Rajesh is right I was disappointed and lost hope as we did not receive any rains this monsoon during july/Aug and almost lost all hope until Sep. I love the monsoons. We do get some NEM rains somewhere in Dec but that is also not much. The monsoon season especially July 20 - end Aug (and of late Sept) are the only two months that we get meaningful rains and where I can get to watch and study the weather. GSB, which city are you from. I am from Karachi. Light rains have again started this morning at 10 am in Karachi. Tyrone/GSB: Rains in winter for Karachi are mainly from WDs. 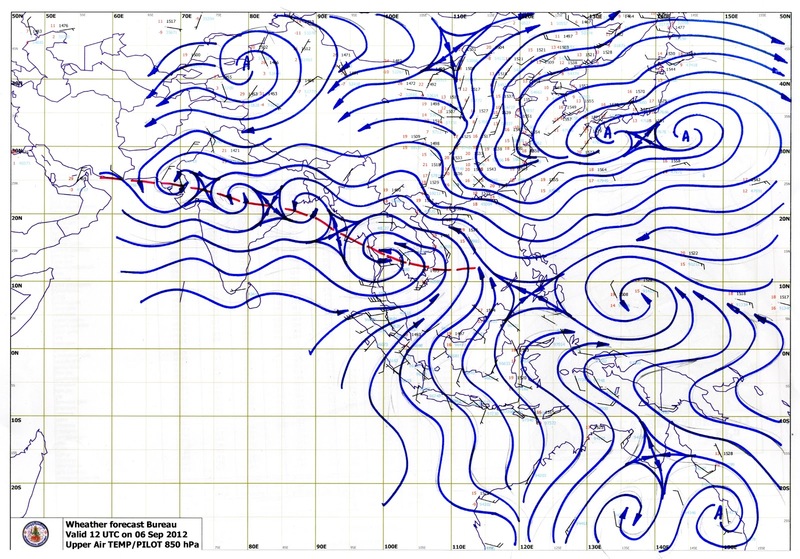 Exceptionally, KHI may get rain from a system in the Arabian Sea. Bangalore day 8 sept no rain. Myself from Hindu newspaper managed to get information about rain measures in most places of south India. Some observations since june. 1. Interior Karnataka, AP has many places with rain < 100mm. Infact Marathwada (driest region of Maharashtra),Vidarbha has rain many time more than (avg 1000mm) Interior KAR,AP. 2. Bangalore,Mysore,Mandya,Bellary,Kolar and other places continue to remain dry - with rain since june,sept (suppose to rain - fails). 3. Amount of rains in Malnad has decreased considerably over years - Medikiri,Chikamaglur receiving less rains. 4. Other interesting fact is Kerala - once wet place has now strong negative standard deviation. 5. TN has many places with zero mm - only hope is ever mysterious NEM (if it happens). Tyrone: in fact, i have a complain, you did not contact me on way to Goa..lol. The chart you have put up shows ....wait...All have seen the chart. So, i presume all the viewers have grasped it. i'll see if somebody can answer that.Otherwise i,ll put up the answer tonite. abhijit: System generally will not travel eastwards. Only if an impending WD crosses the northern regions, a system can move NE.Normally it is NW or W or N. An eastward curve is rare, and indicates a Wd or a westerly wave. Sorry, Tyrone's query was not put up. 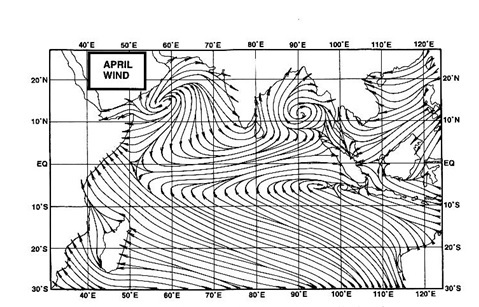 "Rajesh, in the attached chart what is the point over central india between the two lows marked like an x with arrows and also in the north east arabian sea? So overall Badlapur records 14mms rain in past 24hrs. (i.e from yesterday 8.30am to today 8.30am on 08-09-2012).